Born and raised in Kyoto, Japan, Executive Sushi Chef Yoya Takahashi moved to Los Angeles with dreams of becoming an actor like his grandfather before him in Japan. While making ends meet, he quickly found the comfort of home behind the sushi bar in Little Tokyo. While he had practiced the art of sushi in Japan, Takahashi met his mentor in Little Tokyo and from there his passion for sushi blossomed. His approach to food is deeply rooted in fresh, local, seasonal and sustainable ingredients, which have become the foundation of Takahashi’s personal style. 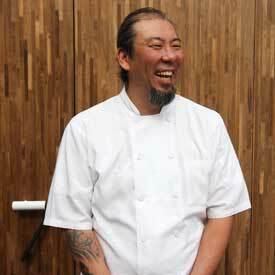 In 2008 Takahashi seized the opportunity to stand behind the sushi bar at Makoto Okuwa’s Sashi in Manhattan Beach, showcasing the unique style he has spent years cultivating – a marriage between classical Japanese techniques and modern ones. After spending 5 years at Makoto Okuwa’s Sashi, Takahashi took the Executive Chef position at Hamasaku where he continued to create beautiful and whimsical sushi dishes while merely elevating and simply complementing the freshest and highest quality ingredients he can source. 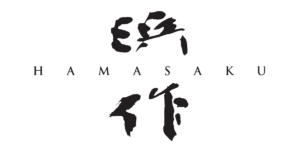 In October, 2017 Takahashi along with business partners Michael Ovitz and Jesse Duron opened Umi by Hamasaku in El Segundo, sister concept to Hamasaku. As Executive Chef/Partner at Umi by Hamasaku, Takahashi offers a seafood izakaya menu that includes a raw bar selection, sushi and sashimi.